London - The engagement of Prince Harry and Meghan Markle dominated newspaper front pages and morning news shows in Britain on Tuesday, as royal-watchers awaited details of the couple's spring wedding and royal relatives offered congratulations. The grandson of Queen Elizabeth II and the American actress have announced they will marry in May 2018. Archbishop of Canterbury Justin Welby says they have chosen a church wedding, and the palace is expected to reveal details of the venue later on Tuesday. In the couple's first joint interview Monday, 33-year-old Harry said Markle immediately fitted in with his family. He said when she visited Buckingham Palace to meet the queen, "the corgis took to her straight away." 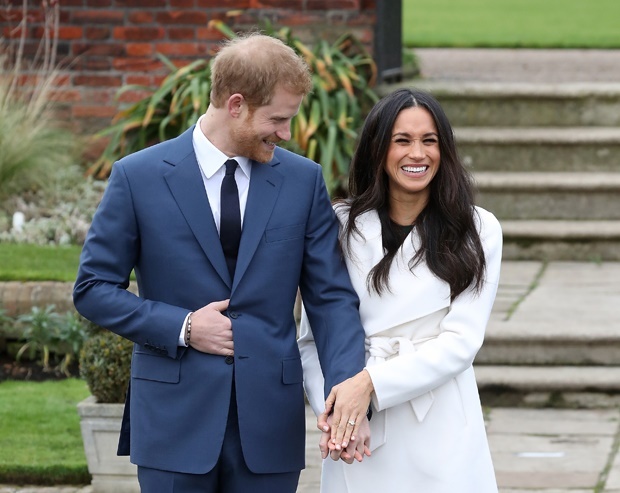 The ex-soldier prince and the 36-year-old star of TV show Suits revealed that Harry proposed over a roast chicken dinner at his London home, after months in which they tried to keep their long-distance relationship out of the public eye. "The fact that I fell in love with Meghan so incredibly quickly was sort of confirmation to me that everything, all the stars were aligned, everything was just perfect," Harry said. "It was this beautiful woman just sort of literally tripped and fell into my life. I fell into her life."